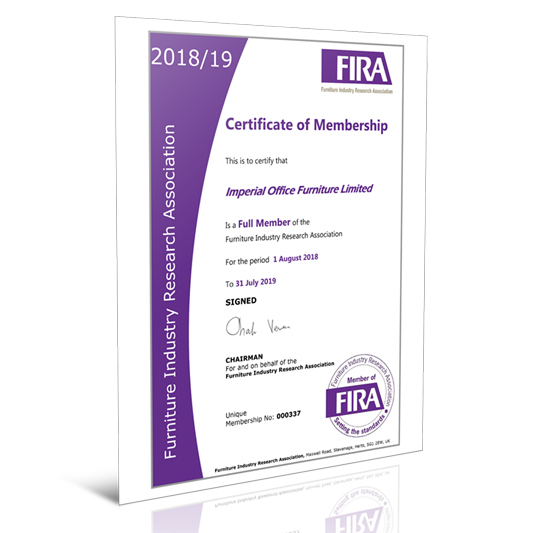 Imperial Office Furniture continuously strive to achieve the highest levels of certification and accreditation for our company, maintaining our standard of excellence and providing our customers with office furniture to the highest standard. 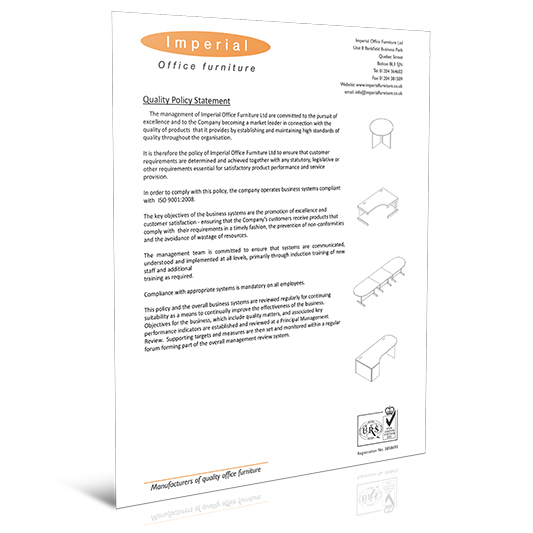 At Imperial we are proud of our accreditations and we work closely with our customers to understand their furniture requirements and offer the best service and quality. 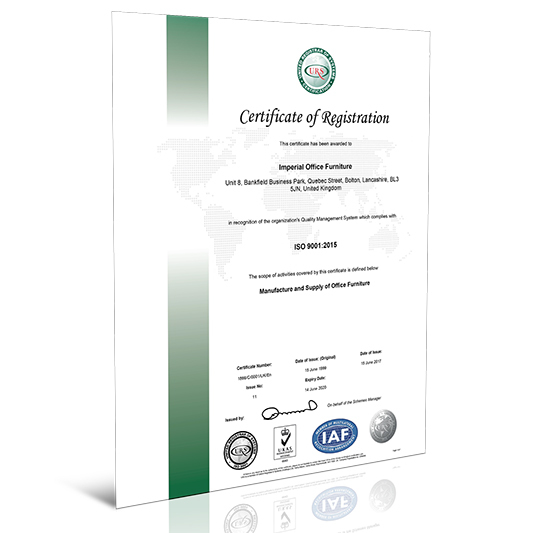 In addition to this we have a number of recognised Industry accreditations. 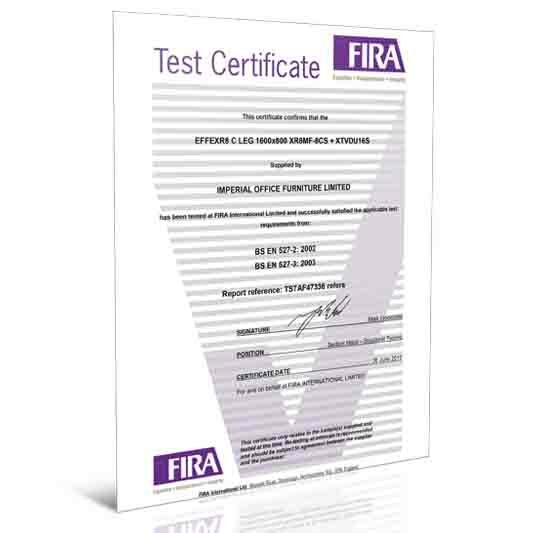 These memberships and accreditations ensure our customers have peace of mind knowing that you are dealing with a professional and reputable organisation. 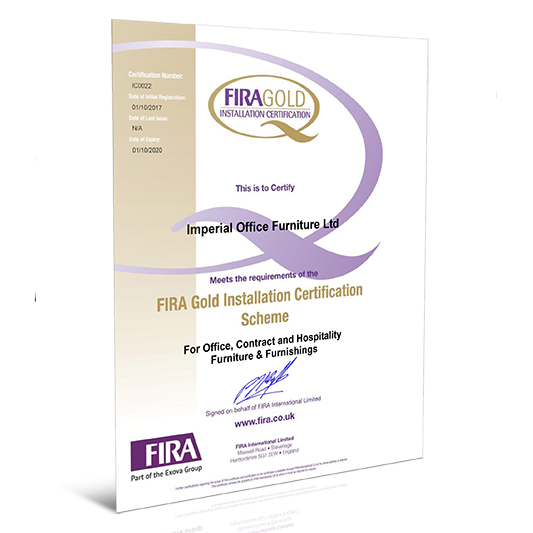 Imperial Oﬀice Furniture are now recognised for their installation quality in the furniture industry. 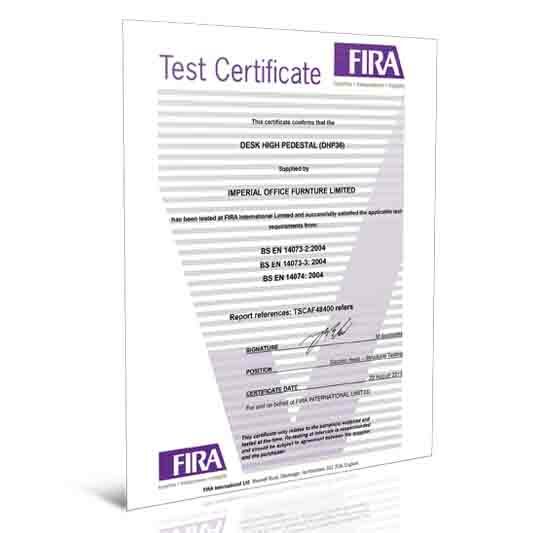 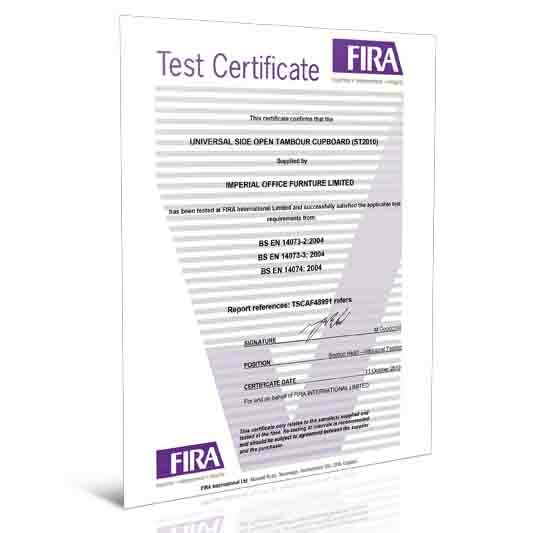 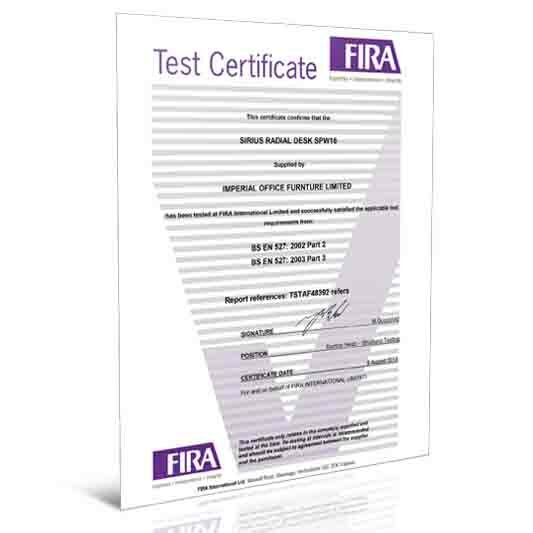 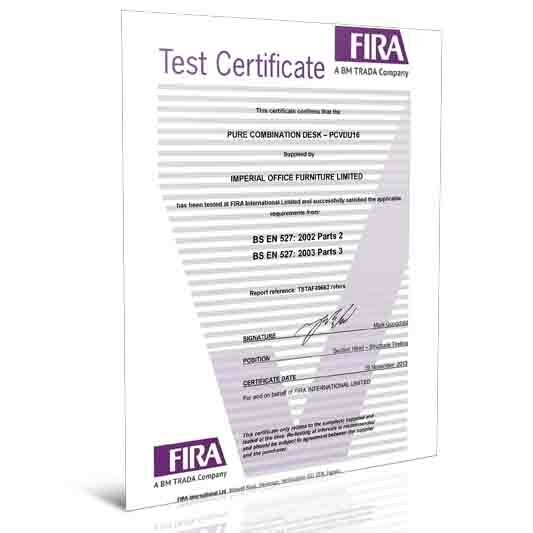 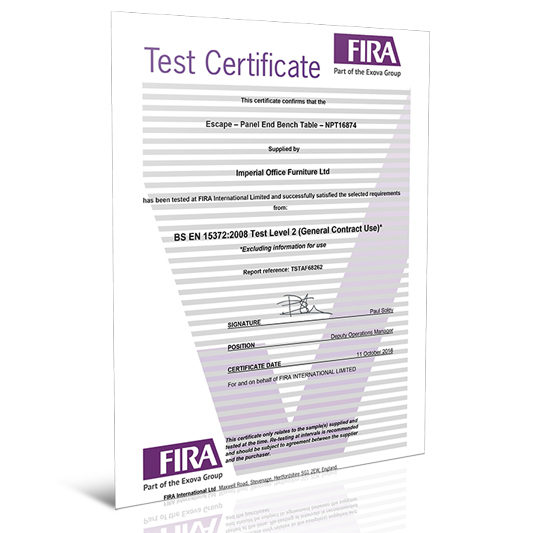 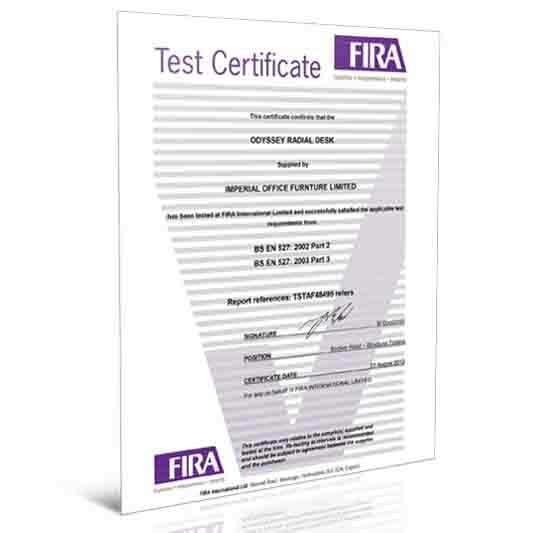 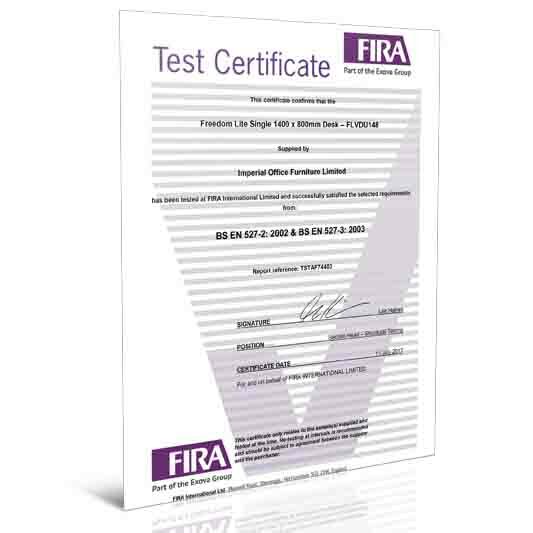 Through being assessed against specified performance levels by FIRA our customers can have peace of mind knowing our Installations Department has been awarded FIRA Gold and comply to the highest standards in the industry. 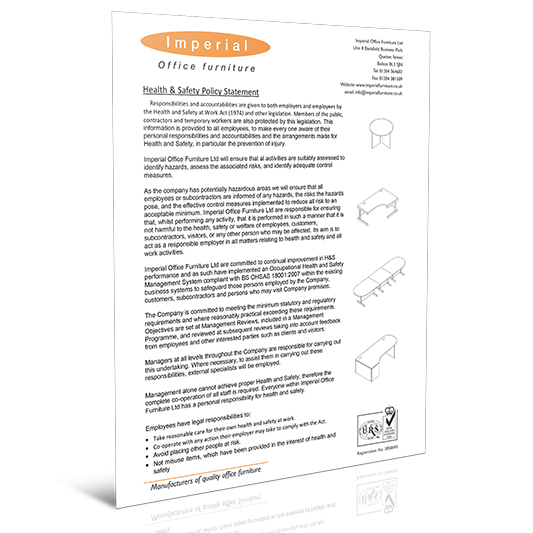 Imperial Office Furniture is committed to continuously provide product and furniture testing which provides reassurance to all our customers, not only for meeting mandatory safety requirements but an insight into the performance and durability of a product when it is being sed. 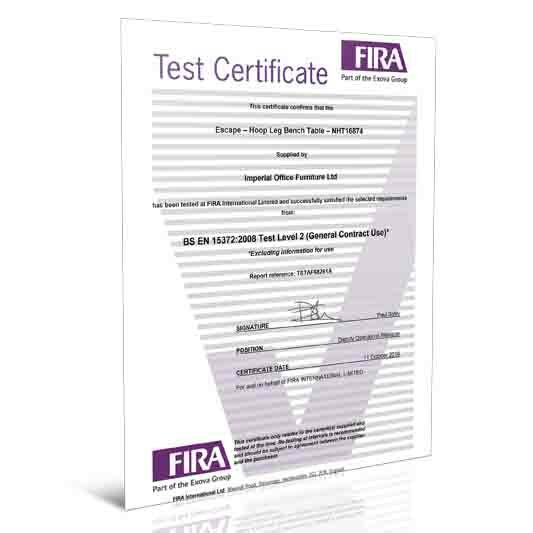 Fira International is accredited to BSENISO/IEC 17025:2005 by the United Kingdom Accreditation Service (UKAS) ensuring that tests are carried out to a high standards. 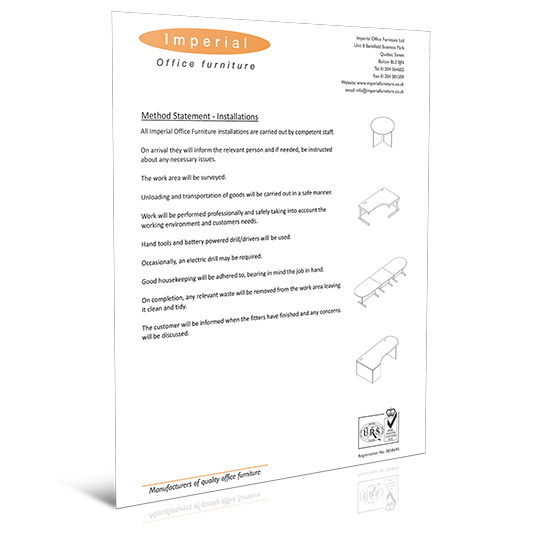 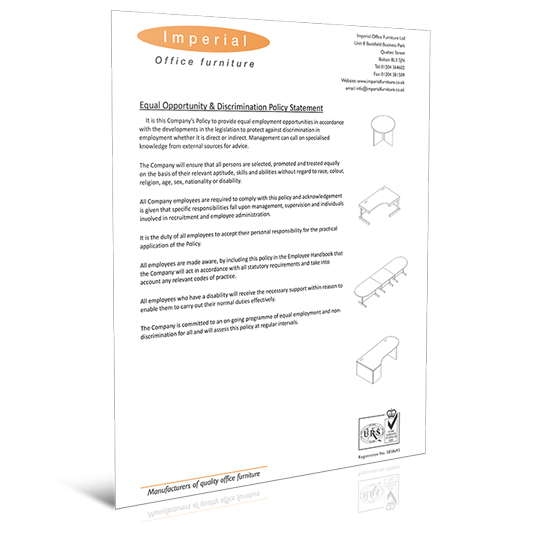 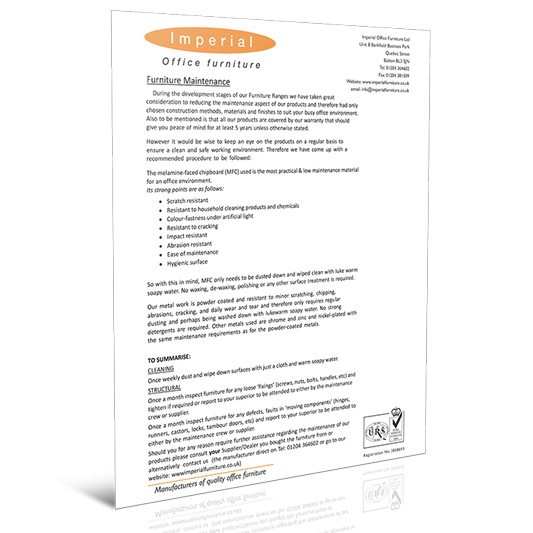 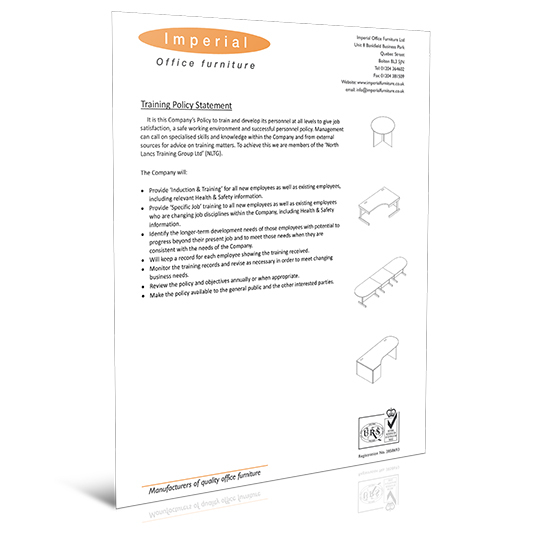 At Imperial Office Furniture we have numerous policies and statements in place to cover all aspects of the business. 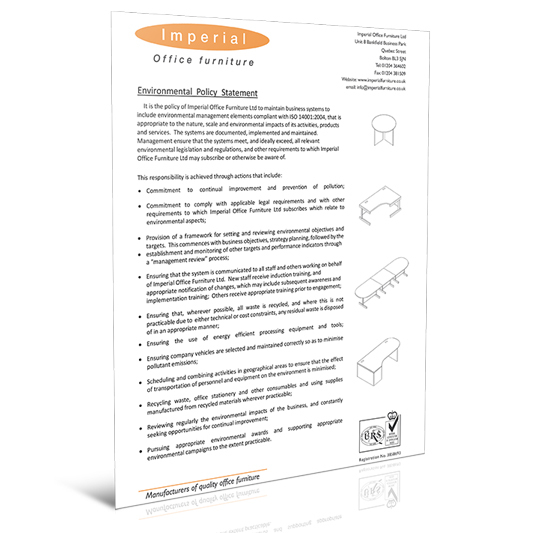 They work as guidelines to how we approach staff, health & safety, training and the environment, as well as other important areas.